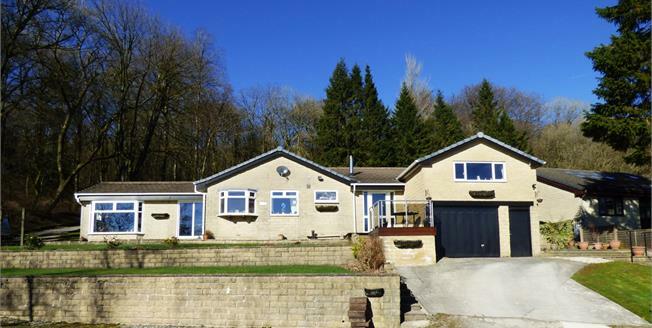 This incredibly versatile property could appeal to a variety of home movers including families of varying sizes and ages and those who may need to accommodate a dependent parent or close relative. Entry to the property is through a spacious reception hall with a multi-fuel stove and to the right hand side there are two reception rooms, an en-suite bedroom and a utility room creating the option for a self-contained space within the property. Completing the accommodation are three bedrooms, a family bathroom a spacious living room, a good sized dining kitchen and a large conservatory overlooking the garden and woodland beyond. Outside the property sits on a generous plot with gardens to the front, rear and both sides including a patio, lawns, a range of herbaceous beds and borders and a summer house and log store. A superb property well worthy of an internal inspection. Viewing is highly recommended.